How Jewish am I? Let the candles light the way. On a lovely Saturday morning with a purring cat next to me and a sleeping partner in another room, I have a few moments to myself. 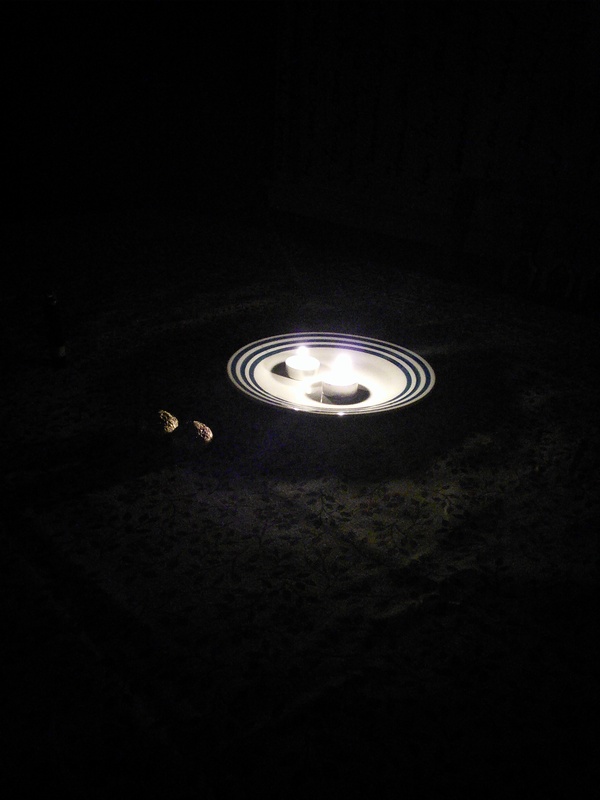 Last night I lit Shabbat candles for the first time in months. When I first moved to this house to share my life with this man and this cat, I didn’t really know what to expect. But in my single life I had gotten into lighting shabbat candles. I am not a particularly practicing person. I observe some fasts, I follow certain as self chosen food restrictions, I light Hanukkah candles but I do not go to temple. I guess working for a Jewish organization is enough? Nah, that’s not it. To be truthful, I never felt like I belonged in it. I always knew I was a Jew but the ritual aspects of it were not part of my life until early 90s when Ukraine was finally free to welcome the Jewish missionaries (yep, you know it happened). Its not that it didn’t feel authentic to me, but in the end the service experience, the having to be with other people couldn’t withstand against my shyness and slight skepticism. So I didn’t become a temple Jew. Instead for a long time I did nothing. In college, a beer drinking Chabad rabbi bet me he’d win a game of pool at a Jewish frat party and if so, I would have to start lighting candles. By then it wasn’t my first rodeo as far as hey, be a better Jew and do this. So I laughed and said, sure I’d like to see that happen. Of course just to spite my universe, he won. So here is when my spiritual return to Judaism begins…..or not. I did start lighting candles and have been doing so on and off since that fateful pool game. In the end, the candles underline my adult choices on how to follow my spiritual Judaism (I consider myself an ethnic Jew for those that would argue Judaism is merely a religion). I continue to pick and choose what speaks to me. For the last year, I was too busy and stressed out to hear the call of Shabbat though I continued to follow the resting principles with my partner ( who is not religious though has some middle eastern in his genetic profile – so much for a goy I always wanted 😉 ). But last night I heard them through the noise and we lit them together, like we lit Hanukah candles together in December. So here is to heeding the call of what calls to you. Love you. Feel free to reblog. I wish everyone would be okay with “So here is to heeding the call of what calls to you.” Very beautiful post. Thank you 😀 sometimes I get moments of profoundness. But really it was all the cat. They are telepathic, I think. Dang cats control my tiny little mind. Absolutely. Little known secret: I wrote the post with one hand clicking individual keys with one finger because the other was petting the Jimmy. Strangely I guess it helped me focus. I was almost in a meditative state. By lighting the candles on Friday evening, and writing such inspiring piece on Saturday morning, in my humble opinion, you observed Shabbat in a great way! Thank you! Thank you for the kind words and the follow! I’ll try to keep up the good work! Thanks so much for your follow and for giving me the chance to find your excellent blog! Thank you for your story. It speaks to me, the depths of me.